Cheticamp Island Cottages on Cape Breton Island offers a tranquil setting with a panoramic view of the Atlantic ocean, Highland mountains and beautiful ocean sunsets from the living room, kitchen and private deck of each of its 5 two-bedroom, deluxe, housekeeping cottages. 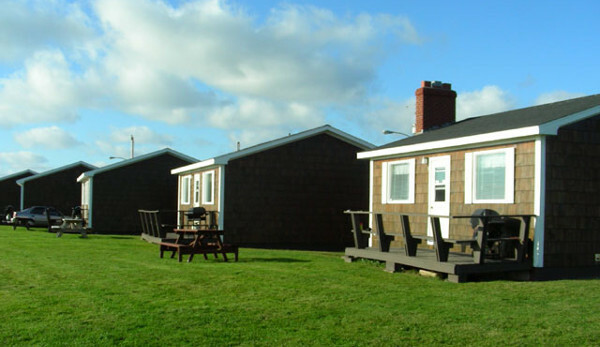 Cheticamp Island Cottages is the only ocean-front cottage accommodation in the Cheticamp area. Ocean swimming and a sandy beach is only 100 metres in front of the cottages. A local golf course is only a 10-minute drive away. The Cape Breton Highlands National Park is only a 15-minute drive away, with a park entrance at the northern edge of the town of Cheticamp.